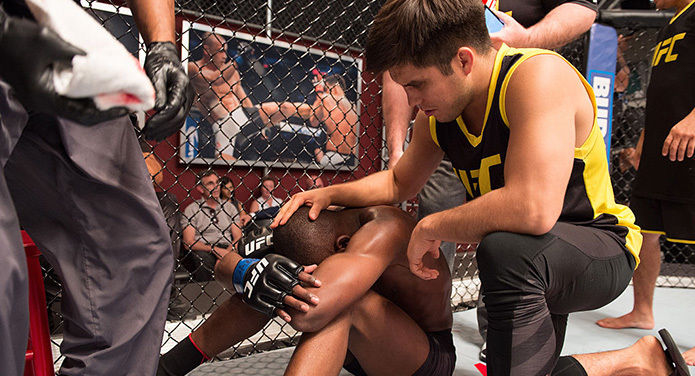 Six weeks after filming the new season of The Ultimate Fighter, and six months since his devastating first-round TKO loss to pound-for-pound king Demetrious Johnson, Henry Cejudo finally feels like he’s over the heartbreak. Cejudo coached against his next opponent, No. 1-ranked flyweight Joseph Benavidez, on this season of the show featuring flyweight champions from various organizations around the world. The winner of the show gets a title shot against “Mighty Mouse” on the same Ultimate Fighter Finale that Cejudo is set to compete in as one half of the co-main event. 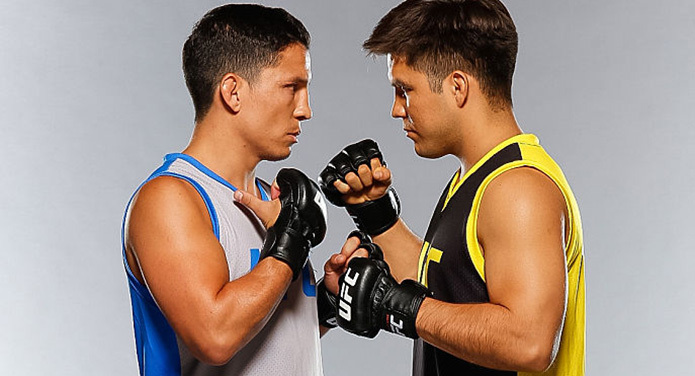 The experience coaching was a rewarding one for Cejudo, but now he’s able to refocus on himself as he prepares to enter training camp to face Benavidez. “I can teach very well and I can simplify things very well, but to coach is just a different level,” Cejudo said. “I respect my coaches more because they’re hands on. 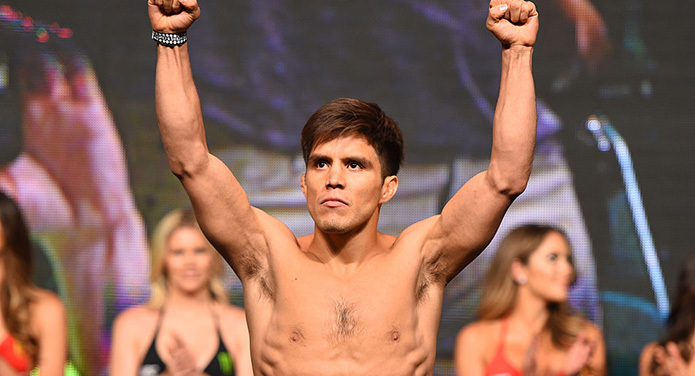 Six months ago, Cejudo was an undefeated MMA fighter and a former Olympic gold medal winner in wrestling when he stepped up to face Johnson, who has been on a four-year rampage through the flyweight division. At UFC 197, Cejudo feels like he wasn’t even able to fight Johnson. He took a shot to the body that rocked him badly and he was never the same in the fight. That’s not how Cejudo saw the fight playing out. “The game plan was to clinch and I got hit to the body too quick. I thought I was going to bully Demetrious. I felt like I was going to dominate him,” he recalled. “I went into that fight thinking that today, I am going to be a world champ. I’m just going to manhandle this dude. Cejudo will get an opportunity to show how much he’s improved when he takes on Benavidez. Johnson has two wins over Benavidez, whose only losses in MMA have comes against Mighty Mouse and bantamweight champion Dominick Cruz. Benavidez is one of the greatest flyweights in MMA history and he’ll be a measuring stick for Cejudo. The two don’t like each other, either, which makes for an even more intriguing fight. The Ultimate Fighter winner gets Johnson next but the fighter who emerges victorious in the co-main event puts himself in the driver’s seat for the next potential title shot. Cejudo thinks he has what it takes to win.